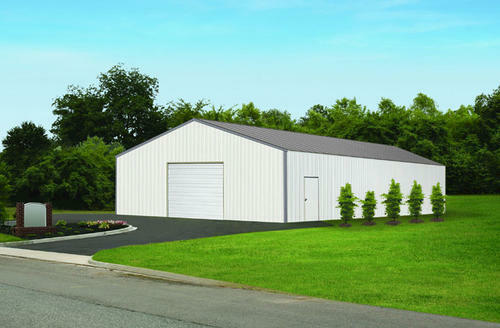 This 36' W x 60' L x 14' H garage from VersaTube® provides complete protection for your car from the elements. You can easily move vehicles in and out of the building through the bay, and keep them securely stored with a 10' x 10' steel roll-up door. A sturdy steel entry door provides individual access in and out of the building. There is plenty of room to spare to work on your projects and hobbies!